Who doesn't love a red door? Come take a look at this 3 bedroom 60s ranch in a PRIME Durham location! It's got everything you need and more! Formal living room, Family room, Sun room, Eat-in kitchen. Have I mentioned the yard!? It's GREEN and it's FLAT and it's FENCED! The kitchen is rocking the retro look and rocking it very well! Separate laundry room. 2 Carport and a long driveway for all of your guests. Welcome to your new home! Showings Start 2/14. Open Friday 4pm-6pm. Directions:From Pickett go North on Westglen, left on Pinafore and right on Cromwell. House on the right. SchoolsClick map icons below to view information for schools near 3435 Cromwell Road Durham, NC 27705. Listing provided courtesy of Invested Realty. 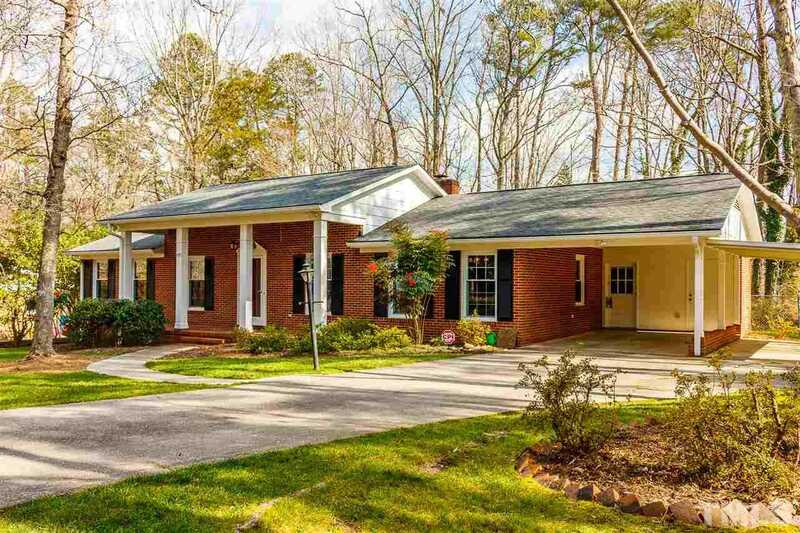 Home for sale at 3435 Cromwell Road Durham, NC 27705. Description: The property at 3435 Cromwell Road Durham, NC 27705 in the Westglen subdivision with the MLS# 2236465 is currently listed for $315,000 and has been on the market for 65 days. You are viewing the Triangle MLS listing details of the home for sale at 3435 Cromwell Road Durham, NC 27705, which features 3 bedrooms and 2 bathrooms, and 1892 sq.ft. of living area.